Much like holy pilgrims to El Santuario de Chimayo diners pay repeat and reverent visits to a temple of Northern New Mexican cuisine – Ranchos de Chimayo Restaurante. Since 1965 loyal locals and visitors from around the world have journeyed to the century old adobe home for traditional regional dishes. As always, we found the restaurant busy. 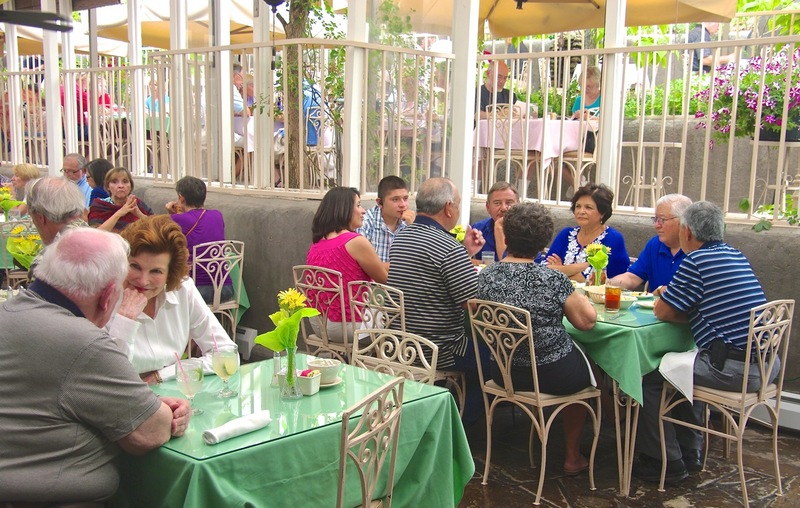 Seating is in small rooms in the original home, a sun room and in summer, terraced patios – tables shaded by ancient cottonwoods and large umbrellas. We relaxed with a fruity sangria, a bowl of fresh guacamole and crisp, salty chips while awaiting our entrees. 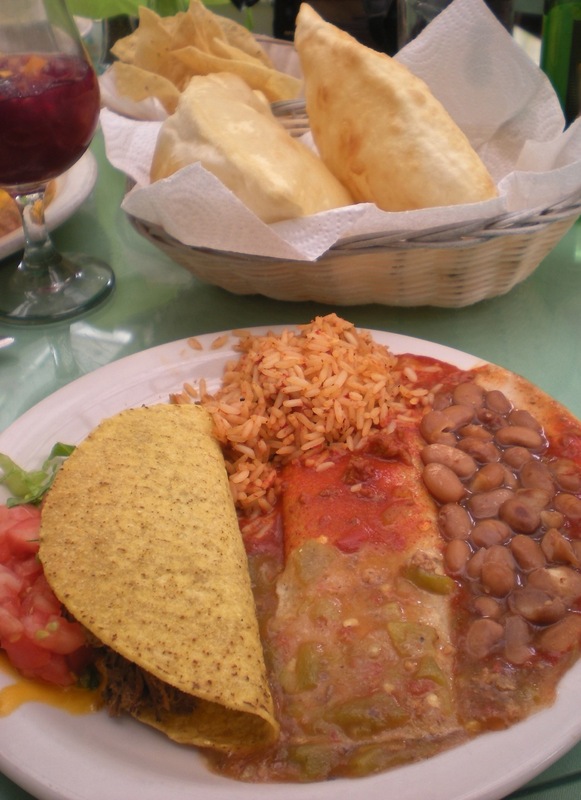 I couldn’t resist an old favorite, Sopaipilla Relleno – a sopaipilla stuffed with shredded beef (chicken also available), beans and Spanish rice, topped with cheddar cheese, guacamole and a choice of red or green chile. 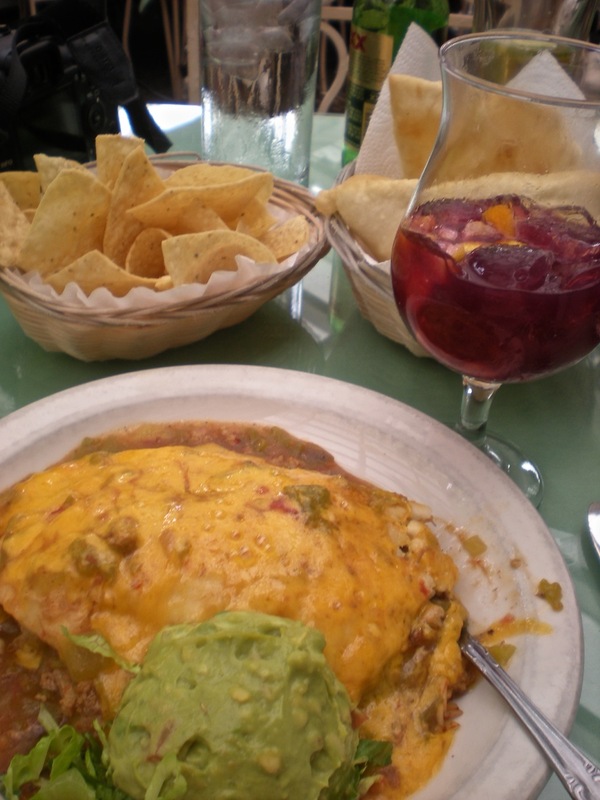 Bob opted for Combinacion Pequena – shredded beef taco, cheese enchilada, Spanish rice and beans. His enchilada came as “Christmas”, half red and half green chile. A basket of large puffed sopaipillas and honey accompanied the entrees. Short of licking our plates we couldn’t have enjoy our choices any more. From previous visits we can highly recommend the flan; however this time we felt the need to pass on dessert. 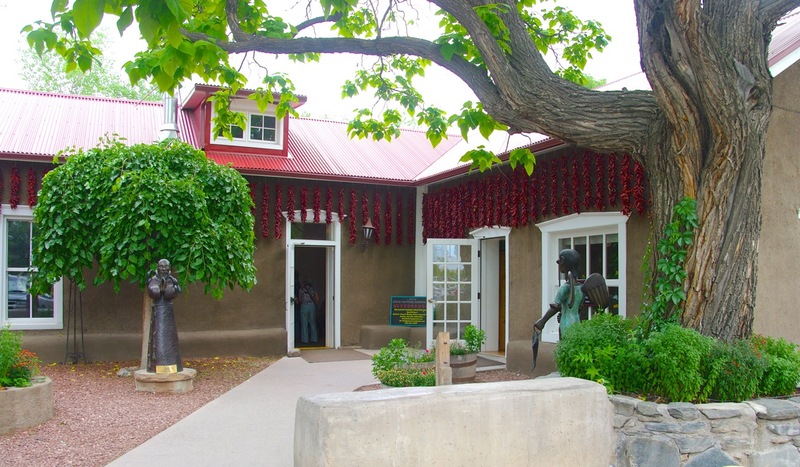 In 2008 Rancho de Chimayo experienced a kitchen fire that closed the restaurant for 14 months. When they reopened patrons found the dining areas as they remembered; major changes were in a new kitchen and the addition of Tienda. The retail room is stocked with salsas, preserves, logo glasses, t-shirts and the popular Rancho de Chimayo Cookbook. They offer an assortment of creatively packaged gift sets, many can be ordered on their website. A miniature Red Flyer wagon filled with jars of salsa captured my attention. 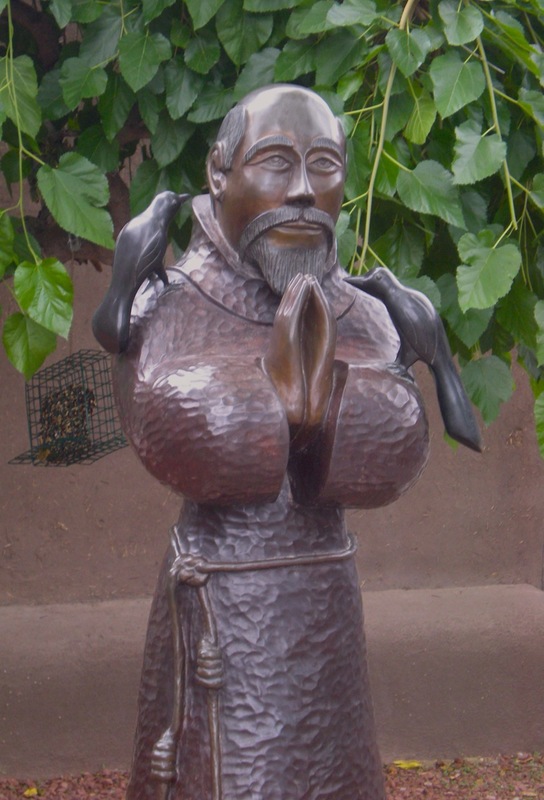 Rancho de Chimayo is located on the High Road to Taos (Santa Fe County Road 98), 27 miles north of Santa Fe. The restaurant is open from 11:30 am to 9:00 pm, from May to October open 7 days a week, November thru April closed on Mondays. Until this visit I didn’t realize the restaurant opens for breakfast on Saturday and Sunday, 8:30 – 10:30 am. I’ll remember that for our next Rancho de Chimayo pilgrimage.